Chi Omegas Train For Chicago Marathon, to Run For The Kids! We will rise at 4:00am in a city that will still be asleep. We will wipe our eyes, stretch that early-morning stretch, and remember the reason we are here. Three simple words: For The Kids. Upon that remembrance, 4:00am will not seem that early and the city of Chicago will burst into life. On October 8th 2017, we will arrive to the start line in Chicago and see 26.2 miles laid out before us. 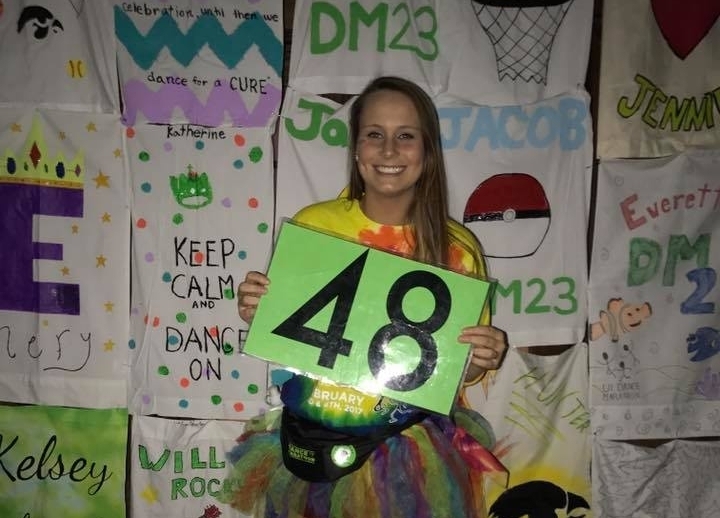 We will be enveloped in a sea of lime green representing Dance Marathon at each mile marker. We will be nervous, but we will be ready. 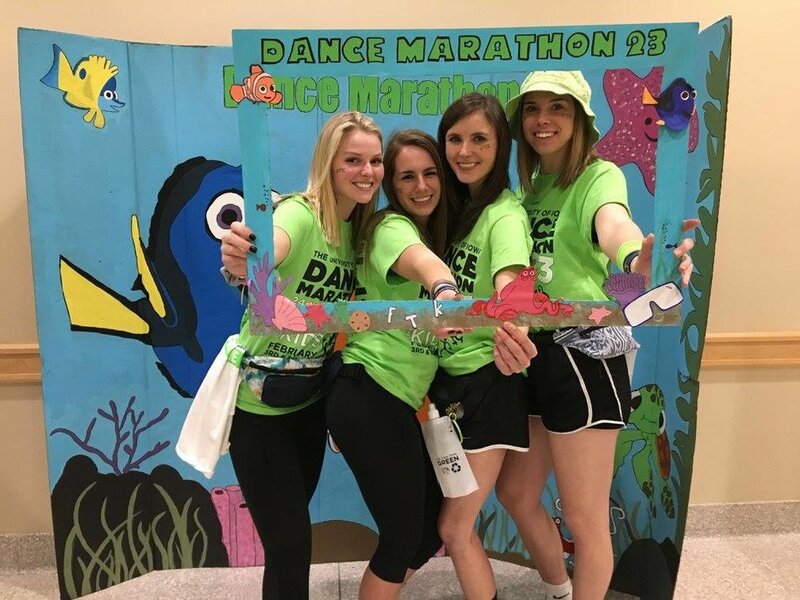 This summer, 17 Chi Omegas have been training each and every day for the Chicago Marathon, all For The Kids. We use each other as a support system and strive to be our best for the kiddos in the Stead Family Children's Hospital. After countless months of training, these Chi Omegas are nearly ready for the big race in just under a month (and counting). Each Chi Omega comes with their own reasons for training-read them all below! 26.2 miles. Yep, that's a lot. Yeah, it will hurt. But there are children and families up on the 11th floor of the Stead Family Children's Hospital in more mental, emotional, and physical pain than any of us could even imagine. Some of these children don't even know what life is like beyond the hospital walls. So, compared to these incredible kiddos who continue to fight with all the strength they can muster from their tiny little bodies, 26.2 miles is nothing. After participating in Dance Marathon last year for the first time and loving it, I decided to train to run 26.2 miles FTK! I made this decision because I knew that by facing this challenge, I could raise even more money for the kiddos in order to better their lives and show them how far a little bit of strength and bravery can go. Not only have I felt more connected to Dance Marathon through my running, I have been inspired to go even further than I ever thought I would for these kids. Ultimately, running is easy, cancer is hard. I chose to train for the Chicago Marathon through DM because of many reasons. The most prominent reason was to raise more money for the kiddos and their families who need it the most. My biggest motivation to keep training is the fact that each mile we run represents a kiddo who is going through the unimaginable. I can’t wait until I raise enough money to run the Chicago Marathon in October and attend the Big Event in February! A few short years ago, I joined Dance Marathon, not knowing the impact it would have on my life. Now, as a Morale Captain, I’m running the Chicago Marathon FTK. I’m running For The Kids who are currently battling, who have battled, and who have lost their battle with cancer. I’m running for more firsts: first birthdays, first days of school, first kisses. If these kiddos can battle cancer, I can run 26.2 miles!